The New York Times is pushing further into voice products for smart speakers. On Friday, the company announced that it’s launching a weekday flash news briefing called The New York Times Briefing for Alexa-enabled devices (hosted by Michael Barbaro, who is a busy man). It’s also debuting a weekly interactive news quiz from The Daily’s producers. 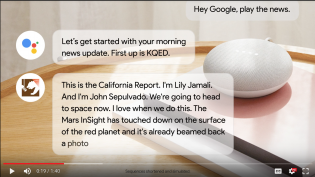 While smart speakers like the Amazon Echo and Google Home are in tens of millions of homes, consumers aren’t such big fans of news on the devices yet. 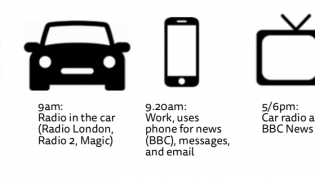 A recent survey from the Reuters Institute for the Study of Journalism found that users think most flash briefings are too long — a complaint the Times means to address with its new products. The weekday flash briefing will be around three minutes long; an episode of The Daily can stretch to around 25 minutes. The third mode the Times identified is “when people are in sort of a captive mode, ready and willing to engage fully with the journalism they’re getting on their speaker,” Sanchez said. “Maybe they’re bored on the weekend, or they’re looking for something to do with their kids or friends.” That’s where interactive audio experiences — like the weekly news quiz — come into play. Research into “captive mode” is still underdeveloped, Sanchez said, and “I’m not sure anyone’s figured it out yet, but we really wanted to experiment.” Consumers who listen to the daily flash briefing should do well on the weekly interactive quiz, which incorporates folks from the Times newsroom and gives participants their score at the end. The flash briefings and weekly interactive quiz are only available via Amazon’s Alexa for now, though there are plans to eventually expand them to Google’s Assistant and Apple’s Siri as well. Owen, Laura Hazard. "“Here’s what else you need to know today”: The New York Times launches a flash audio briefing and other voice stuff for Alexa." Nieman Journalism Lab. Nieman Foundation for Journalism at Harvard, 11 Jan. 2019. Web. 24 Apr. 2019. Owen, Laura Hazard. "“Here’s what else you need to know today”: The New York Times launches a flash audio briefing and other voice stuff for Alexa." Nieman Journalism Lab. Last modified January 11, 2019. 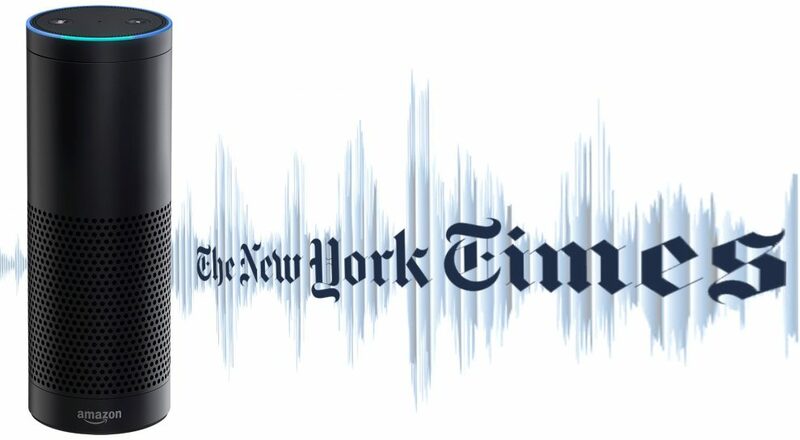 Accessed April 24, 2019. https://www.niemanlab.org/2019/01/heres-what-else-you-need-to-know-today-the-new-york-times-launches-a-flash-audio-briefing-and-other-voice-stuff-for-alexa/.